Use our handy monthly payment calculator to get an estimate on your auto loan rate or car lease payments for the new or used vehicle that you are interested in with the car payment calculator at Haggerty Buick GMC. Determine your purchase price for your Buick Encore or GMC Acadia in Villa Park with this easy-to-use car payment calculator. Want more information on how your auto loan interest or lease payments for a Buick vehicle like the Envision from Lombard dealerships are estimated for your new or used vehicle in Downers Grove? 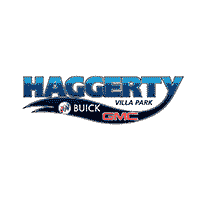 Contact the experts at the Haggerty cars finance center for help! Or calculate your car payment estimate if you’re ready to buy your favorite new Buick, GMC vehicle today.